and the University of Washington Press, Seattle and London. Taj Mahal remains one of the most intriguing monuments of our times. The astounding number of facts, tales and myths that surround it only add to its mystery and to the mystery behind the man who ordered it built – Shahjahan the fifth Moghul Emperor of India. There has been much speculation and academic interest in whether or not Shahjahan planned to build his tomb across the river from the Taj. Foreign travellers who visited India during Shahjahan’s rule thought he might. A lone surviving tower and the remnants of a wall on the opposite bank of the river, suggested there may have been something planned but nobody really knew what. ‘The Moonlight Garden’ tells you just what it was – a Moonlight Garden called Mahtab Bagh - and dispels the myth of another Taj in black marble across from the Taj in white. It is a meticulous account, based on excavations and identification of plant remains from the site, that takes the reader into the Mahtab Bagh – a purpose built night garden, perfectly aligned to the gardens at the Taj. 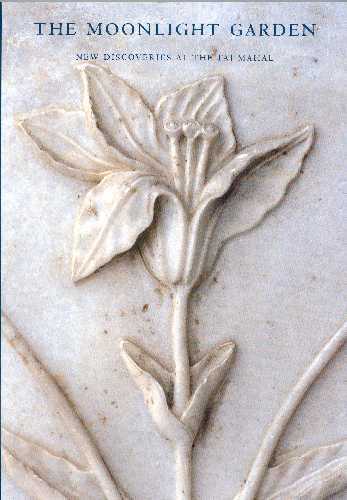 "….in plan, proportion, and directional alignment, the Mahtab Bagh extends the design of the gardens at the Taj Mahal." It was a part of the original plan of the Taj complex. 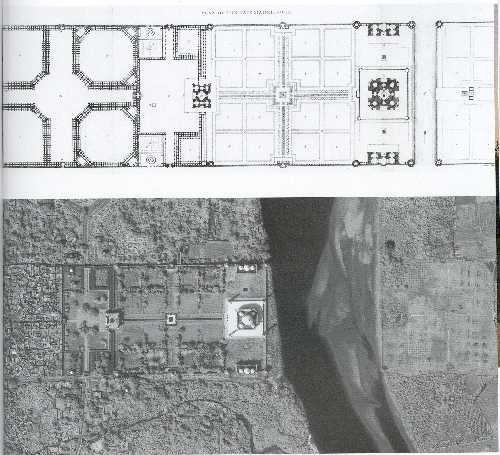 Satellite imaging and an old plan of the Taj complex indicate that Mahtab Bagh was an extension of the gardens across the river. 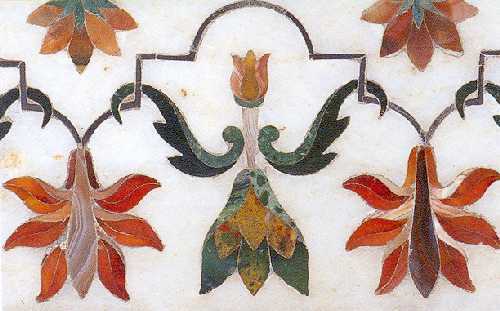 Most Mughal gardens seem to follow the theme of earthly paradise in their lay-outs, but "..this plan of the Taj transcends all others as the vision of paradise on earth, Shahjahan’s own cosmic diagram" – writes Elizabeth Moynihan. It is not just the alignment that is carried across the river – it is also the aesthetics. Central to the garden was an octagonal pool that held the reflection of the Taj on a moonlit night. The idea behind the garden may have been to make it an experience to watch the Taj from here on a full moon night. 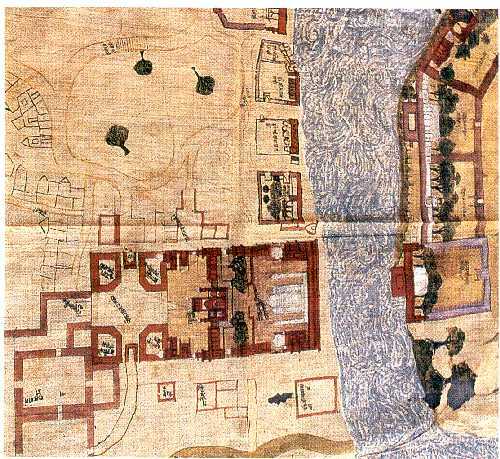 Elizabeth Moynihan, who has studied Mughal gardens, and re-identified one near Dholpur, also writes about the earlier riverfront gardens planned and laid out along the banks of Yamuna, by Babar – the founder of the Mughal dynasty. The articles in the book are based on a field study conducted over a period of six years under the sponsorship of Arthur M. Sackler Gallery and in co-operation with the Archaeological Survey of India. Elizabeth Moynihan, the editor of the book, was also the Director of the Mahtab Bagh project. David Lentz was the paleoethnobotanist who accompanied the team to study the remains of Mahtab Bagh’s plants and trees, and James Wescoat studied the water systems in place at Mahtab Bagh. "The Moonlight Garden’ makes compelling reading.